Looking immaculate on Valentine’s Day is a given. If you’re one who blanks out when confronted by your wardrobe just minutes before your date, we’re here to solve all of your fashion crisis. Just like it is with interior design, you must just pick a main colour. Don’t wear red — that’s so #CNY (not to mention cliched). Step out in pink, which is also a hue that sings of passion and unconditional love. Don’t go with girly or millennial pink, which are too bright. Instead, be inspired by these blush-toned outfits, which we promise will be your salvation. Look lanky and long by donning a pair of high-waisted pants. 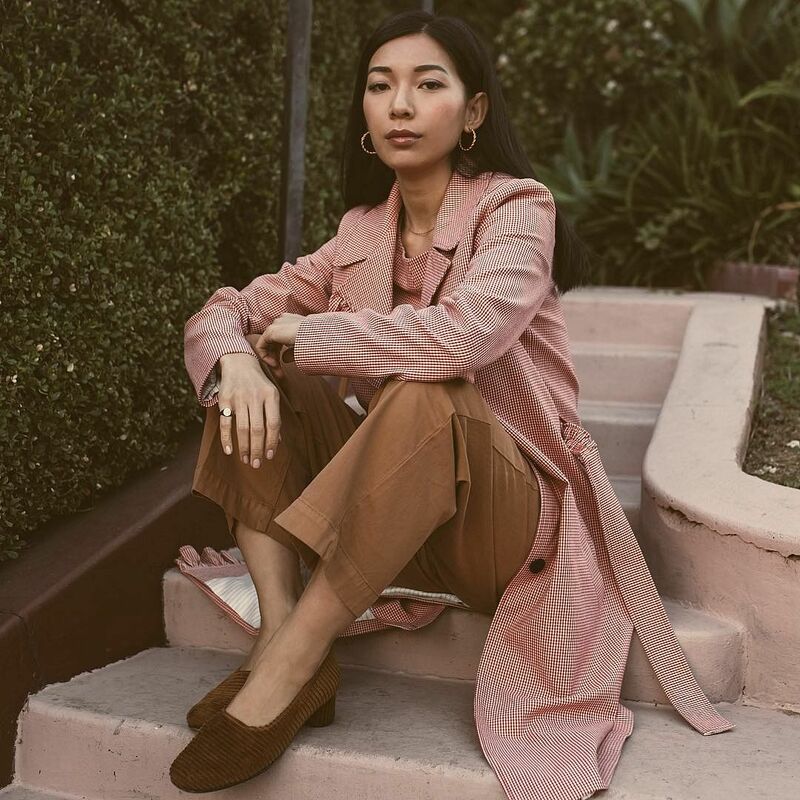 Slip on stilettos and head out to dinner in a soft mauve number, just like Vietnamese fashion influencer, Chou Chou. If heels aren’t your thing, swap them out for a pair of flatforms. Don’t forget your statement bag — but keep it low-key and elegant. If a full pink ensemble is too much for you, reference hints of the candy-like hue with your accessories. 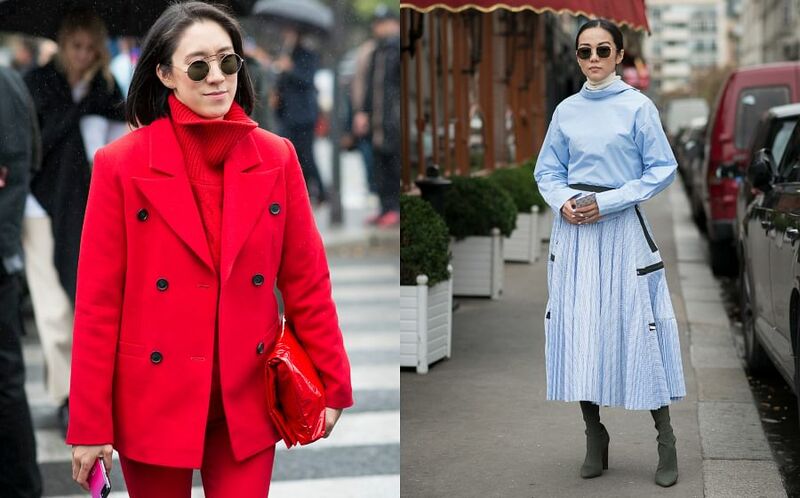 Mae Tan had only a touch of pink to go with this cool monochrome outfit, but the fuschia tone gave the look a little more pop. For our weather, even a simple black t-shirt and a pair of ecru linen pants would make a great backdrop for a pink purse. We love how Kim Cam Jones’ pink suit had a masculine feel. The slouchy men’s suit in the magenta hue created a rather androgynous look which was soft, but powerful. A simple basic tank is all you need to complement this set. 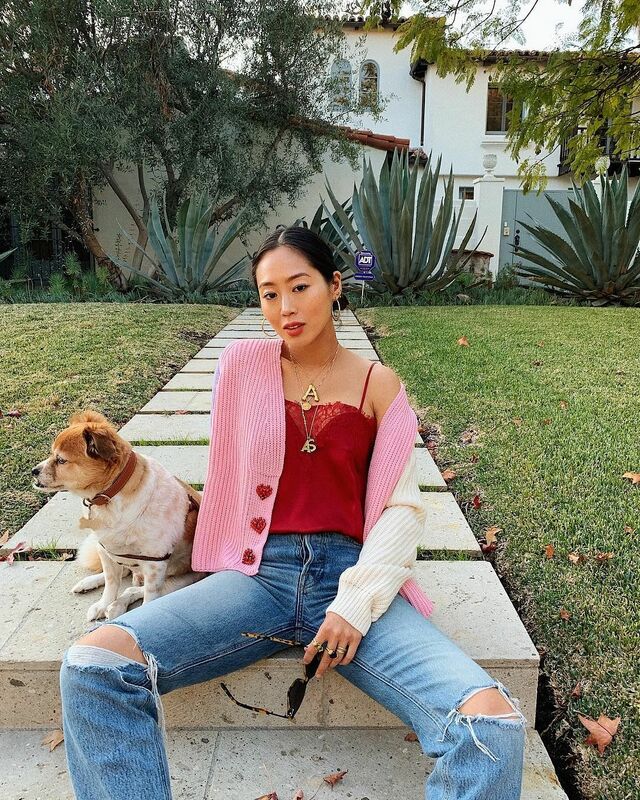 Aimee Song exudes super coolness in a cardigan with beaded heart details, over a red, lacy cami. She upped the X-factor with gold hoops, gold initial necklaces, and ripped jeans. It all says “Hey baby, I see you and I love you. But it’s no big thing.” Sassy. If you’re a lazy gal, get ready for Valentine’s Day the night before. Show up for your date in a pale rose-coloured, polka-dotted slip dress that you wore to bed the previous day. Vanessa Hong demonstrates the “just-out-of-bed” look here… he’ll love it. We do. Shades such as dusty salmon, rose and blush are subtle and romantic. Irene Kim’s one-tonal ensemble really helped to accentuate the shade, and thus her complexion and features. We love how her neutral-toned bralette peeked out of the sleeveless, belted jacket. With this, your man won’t be able to keep his eyes off you. 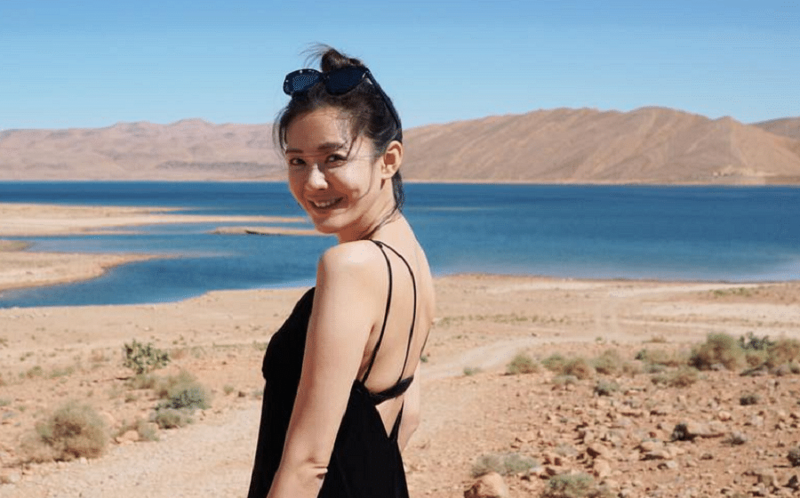 Feiping Chang simply shone in a three-quarter sleeve sequinned dress. The look is just perfect for a glam night out with your guy. Say, a quiet dinner followed by cocktails somewhere fabulous. Go easy on the hair and make-up when wearing something as ostentatious as sequins, though! Date night = late night movie session or performance? Keep yourself warm in a soft, oversized sweater. But stay cool for after-show outdoors action by donning a matching skater skirt. 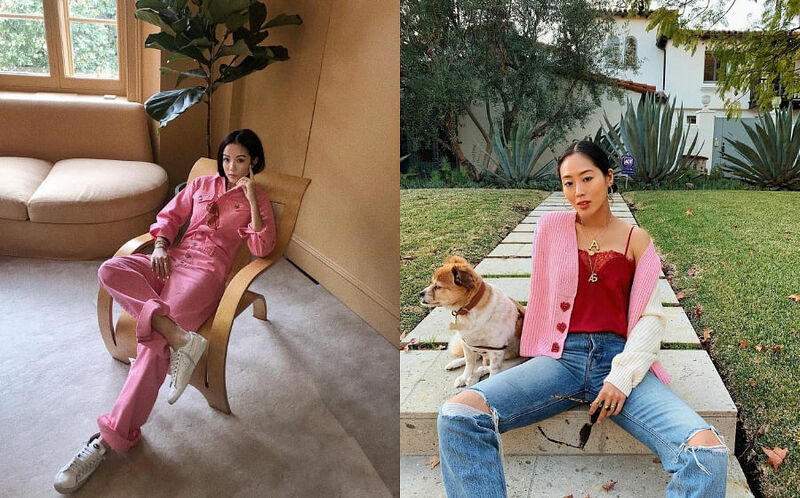 Wendy Nguyen’s small red bag made the soft pinks of her outfit stand out as she left the Orpheum Theater in L.A.
Stephanie Liu Hjelmeseth actually referenced pink with a soft shade of red, paired with a pair of camel-coloured pants. Go forth and do the same. The strong pink on Yoyo Cao is perfect utilitarian chic, swathed as it is on this pink boiler suit, paired with white Nike kicks. This is for a dinner out, followed by a night in while you beat your man at video games.